Kitzbühel, or Kitzbüehel in German, is arguably Austria’s most beautiful alpine ski resort, its authentic, historic and charming, and ideal for family ski holiday. This medieval silver mining village sits in the valley between three ski-able mountain peaks, making it a gold mine for skiers. Skiing began here in 1893 thanks to a brave Austrian Franz Reisch, who climbed to the summit of the Kitzbüheler Horn and descended on wooden skis from Norway. Now Kitzbühel’s ski fame continues hosting the biggest ski race in the world, the Hahnenkamm Downhill held on the Strief trail every January. Beyond its alpine racing legend, Kitzbühel is a lovely ski village for family ski holiday all winter long. 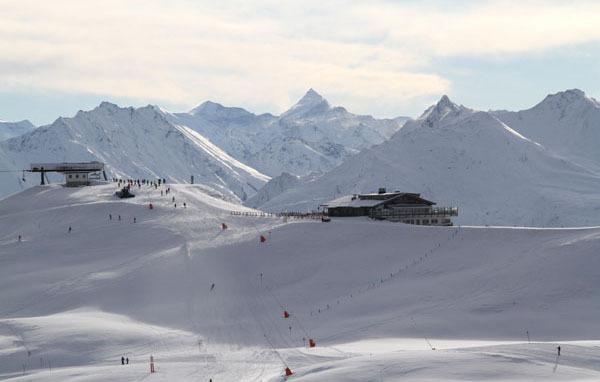 Kitzbüheler Horn is an entirely separate part of the ski area, across town with more lifts, terrain parks, perfect for family skiing, currently being upgraded with snowmaking. Kitzbühel was the first Alps ski resort to market a Ski Safari, a circuit to ski the entire region- 100 kilometers reaching nearby SkiWelt, this ski circuit concept has since been emulated by the Dolomite’s Sella Ronda among others. 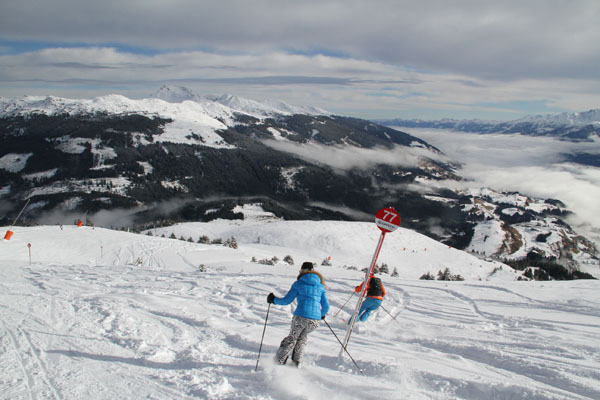 Families will want to ski the Hahnenkamm during ski holiday in Kitzbühel, the steep exciting race course that hosts with world’s best downhill racers and 100,000 fans each January. The Family Streif is a race run designed so everyone can experienced the World Cup race course, but skirt around the extremely steep part of the downhill course, the “Hausbergkante” still ending at the Seidlalm finish line. Kitzbühel Ski Stats: Summit Elevation 6,561’, Base 2,624’, Vertical 3,337’, 1112 ski able acres, 54 lifts, longest run 5 miles, 106 miles of trails, home of the world famous downhill run – The Streif – host of the Hahnenkamm race.